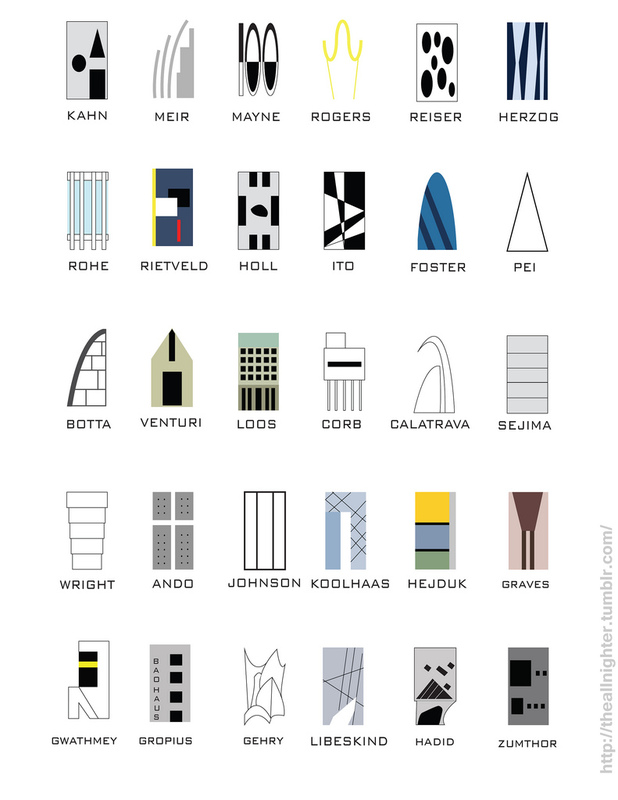 Seeing the Modern Architecture 101 work above from the guys over at TheAllNighter the other day, reminded me of a font design based upon architectural icons created by my former student, Shinya Iwaki. I posted about it two years ago along with a crowd of other wonderful experimental fonts, all designed for my xType class, but this one really deserves far more attention. It is called Cityscape and it is populated by 26 architectural wonders. 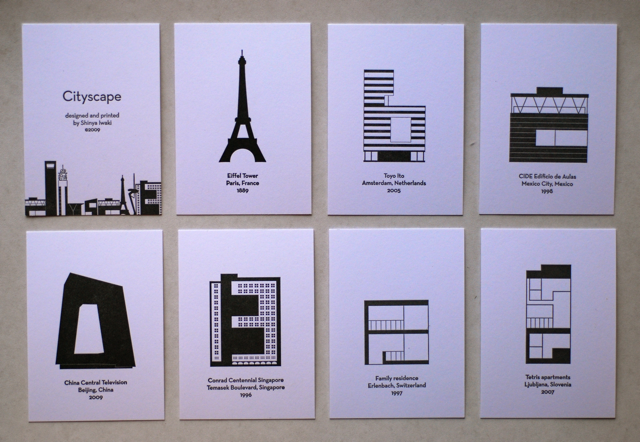 Students were each tasked with an assignment to design a font of their own choice of any media and Shin chose to design one based upon buildings. He spent many hours pouring through architecture books at the library and researching online for buildings that vaguely simulated each letter of the alphabet. 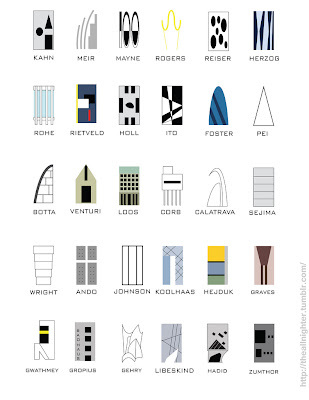 He illustrated, (or hand-built) each building in the context of a letter it most closely resembled. Each letter consists of a real construction and he has included the name of the building, the city and the date each was completed. 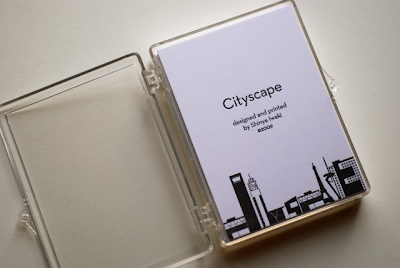 Shin's Cityscape was originally produced as a poster and much later as an impressive deck of 26 letterpressed cards in an edition of 100. He is now living in Brooklyn and I don't know if posters or the cards are for sale, but with enough encouragement, maybe we can persuade him to print a 2nd edition! If you haven't yet seen my student's work from the past two xType xHibits, I highly recommend it to you. View some from the 2009 class and 2010, and take time to watch the videos too, as they are each amazing. Oh, and one more unforgettable font here which you should not miss! I wish I had more of this kind of work to show you for 2011, but the xType class was cancelled this year }: - ( I may now have to take it on the road somewhere, some day. Hmm...xType hits the road. I like the sound of this! Update: I received a note from Shin just 2 days after the earthquake in Japan. Shin tells me he has recently returned to live in Japan and he is okay. I hope he continues to do well as Japan recovers from this disaster. 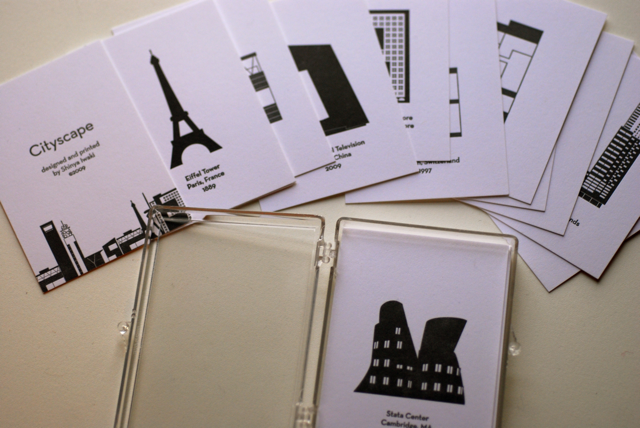 He is interested in selling some of his decks of the Cityscape alphabet, and if you are interested he can be contacted here.